Hey, look at that! 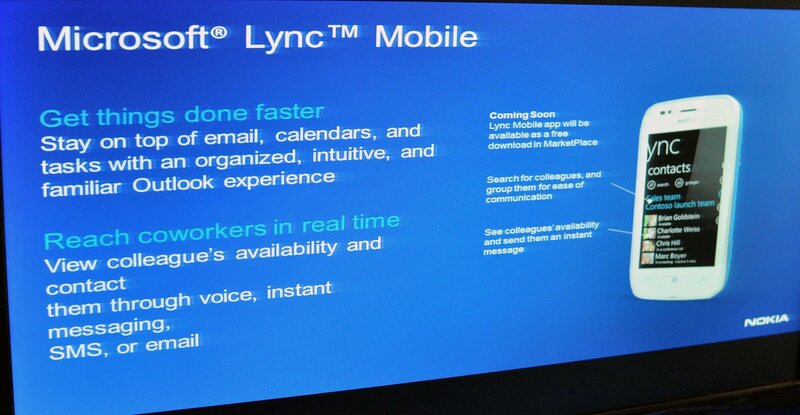 Microsoft Lync Mobile was on hand, in beta form, for us to play with on a Nokia 800. The communications app for enterprise was quite snazzy and very fast from our brief hands on. You get your contacts, IM, email and status updates all from within a very nice Metro app. No video support in this version but for the basics it looks solid. Look for it as a free download soon in the Marketplace.